If you have done an exhibition before then you will know that it can be stressful and hectic. This may be the reason you love trade shows, the adrenaline of being rushed off your feet. For others however, this may be a daunting thought for you. We’ve come up with a few tips and tricks to help you reduce the stress for that all-important exhibition day. Travelling to an exhibition and forgetting something important is a nightmare! A checklist will help you make sure you never forget anything. Write down all the most important things that you need when you are planning your stand, this way you can add to the list whenever you remember something else you need. For example, have you got enough pens or somewhere to store business cards? It’s all the little things that can make a whole lot of difference at a trade show. Bringing some employees with you means you can delegate roles and jobs to other people leaving you to focus on selling. You don’t need to do everything yourself so don’t try and do it all. Bring employees that you trust and who you can rely on to leave alone at your stand. Sometimes you need to leave your stand to network or even just for a walk to stay sane. You shouldn’t have to worry about the people in charge of your stand. Rushing to set up will only lead to mistakes, give yourself enough time to set up your stand before people start to arrive. If you have a new stand practise putting it up and taking it down before you go to the show. A relaxing start to the show ensures a stress free and a great start to any exhibition. Ensuring you have plenty of time to set up will means visitors will only see you in a professional light, not running around like headless chickens. Exhibitions usually last about a day, so for that day your stand and the visitors there deserve your undivided attention. Leave the office at the office. Leave the employees that you trust at the office, so you can focus on the exhibition completely. The last thing you want is to be worrying about work at the office when you are at your trade show. Having a stand at an exhibition is extremely worthwhile and if you are organised and sensible, it doesn’t have to be stressful at all. All the enquiries you will receive and networking you will do will outweigh any preparations that have to take place. Event Staffing or Exhibition Management is a great way to outsource some of that pressure to experts. For more information on this take a look at our dedicated pages. 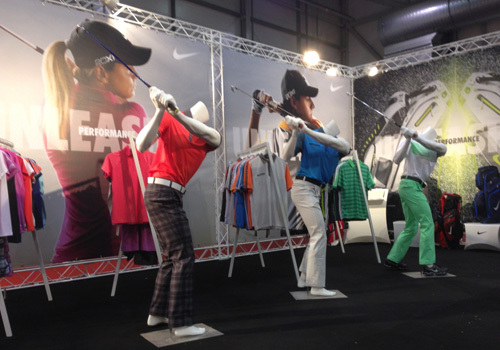 Why is it important to visit trade shows as well as exhibiting? Exhibiting at a trade show is a great way to build the awareness of your brand and generate more leads for your company. It is the perfect tool to go hand in hand with your marketing, this is why so many companies choose to exhibit at trade shows. What about if you weren’t behind the stand all day and experienced the other side of a trade show? This can be just as valuable to any business owner or anybody working for a company. Here are some reasons why you should take a day off from behind the stand and go to an exhibition as a visitor. This is a fairly obvious reason, some of the best networking can take place at trade shows and with the freedom to move around you can decide who and where you would like to talk. Meeting like-minded people within your industry or just an industry that interests is a great reason to go. Good contacts are invaluable in today’s competitive marketplace, they help you stay one step ahead. An exhibition isn’t just about stands and businesses vying for your attention, there are talks and seminars within the venue. These are usually held by professionals within that very industry, it is a fantastic opportunity to learn more about that industry but also another person’s perspective of it. There is always something new to learn and knowledge is power! You get the opportunity to learn about new innovative products within your industry or the up and coming trends. You can use an exhibition as the perfect opportunity to find what or who you need to grow and expand your business. This may be someone to help out with your accounts or someone to provide products for your next trade show, chances are you will find the people you need at a trade show. By not exhibiting or by employing enough staff to man your stand without you, you have the freedom to take a walk and see what your competitors are offering, both at the trade show and outside of the trade show. What are they offering to customers and how are they attracting people at the exhibition. This is also a great way to get inspiration for your next stand and exhibition. Trade shows can be the perfect place to discover new companies and business people who could potentially supply your product. Companies who supply customers with a service similar or a service that compliments your product are the perfect people to resell. They already have customers, so by bringing your new product to them you are growing your market very easily. There are so many advantages to attending a trade show as a visitor, everyone should do it at least once, you can find out what it’s like to be on the other side of the stand. The advantages are completely different to exhibiting but in different ways just as useful. Author Exhibition StandsPosted on January 5, 2018 Categories Blog, Trade ShowsLeave a comment on Why is it important to visit trade shows as well as exhibiting? Are exhibition giveaways a good way to attract footfall to your exhibition stand and build awareness of your brand? Or do most of them end up in the bin and are therefore a waste of money? The answer is that some are incredibly useful, whereas others aren’t. Understanding your audience and aligning giveaways with your key objectives are the keys to success. If you’re hoping to gain more brand awareness, your exhibition giveaways should focus on visibility. Your giveaways need to be designed entirely around your brand name and logo and be the type of item that people would actually use and see value in. If you work in the B2B sector, your aim is for people to use them in the workplace, thereby increasing visibility. If you have a certain message that you want to convey at a trade show, then your giveaways could provide useful visual reminders. Many companies still choose to produce brochures however these are often lost amongst a massive pile and are never read. Brochures and case studies can be emailed to clients or pre-loaded on to a branded USB stick. Technology like qbit will help you to connect with your visitors without loading them up with expensive and heavy printed brochures. A competition where people have to answer one or more questions about your latest product can be a great way to educate people about your new product or service! Finding the right business card after an event and remembering each specific conversation can be a challenge. This is where online data capture tool like qbit really help. More and more show organisers are including QR codes on delegate badges for this reason. Prize draws in exchange for business cards – sign up to our newsletter! So which are the best exhibition giveaways? In conclusion, they are the ones which your target audience will see value in. They must also align closely with your exhibition objectives. 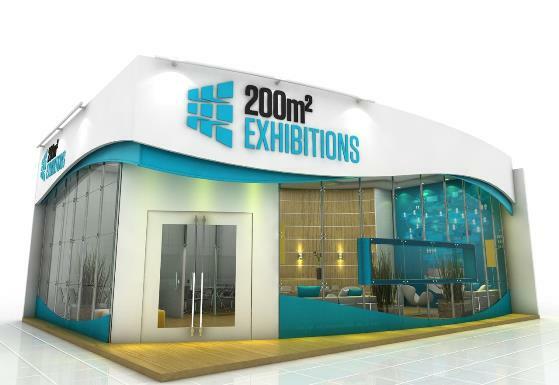 At 200m2, we provide a complete range of exhibition services from exhibition management to exhibition logistics. Call 020 333 200 92 to find out more! Author AndrewPosted on May 17, 2017 Categories BlogLeave a comment on Best Exhibition Giveaways! Custom exhibition stands made from warehouse pallets! 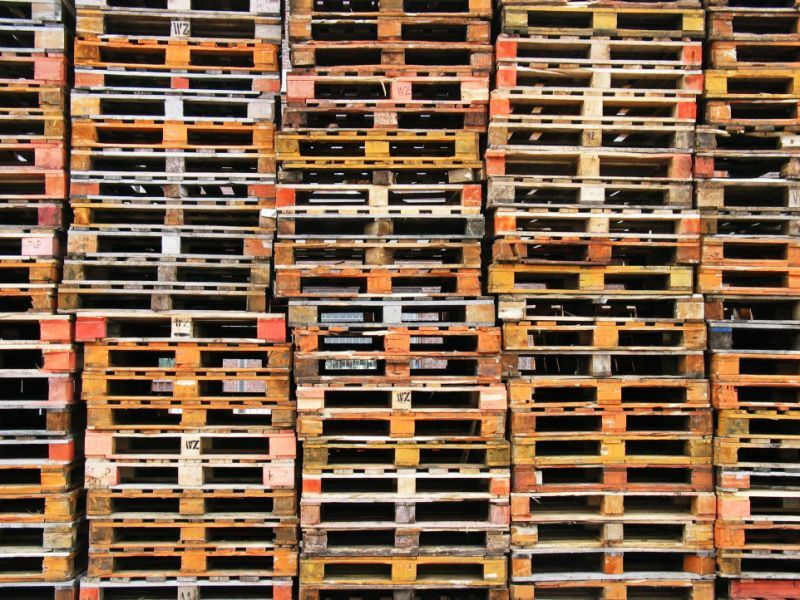 To stand out from the crowd, sometimes you need to think outside of the box… or the pallet in this instance! The Swiss furniture brand Vitra recently took Milan’s Salone del Mobile design fair by storm by creating a custom exhibition stand made out of wooden freight pallets! The exhibition space at the Rho Fairground venue featured plinths made from pallets to create different height platforms. Walls were created from stacked pallets and pallets were even used to create a wire racking system to display other products. The design was conceived to break the norms of designing exhibition stands and to create a new visual language for exhibitions. Colour was applied to the surface of certain pallets to denote different parts of the stand. Partially cast epoxy resin was also used to create a distinctive surface finish. The wooden pallets were built to a standard size of one metre by one metre, providing a repeating module that formed the basis of the design. This enabled different parts of the stand to be customised. The stand even featured a fork lift truck to create a realistic warehouse scene! The pieces on the display included Ronan and Erwan Bourourllec’s Belleville Chair and Table, the Polder Sofa and Compact by Hella Jongerius, and the Mariposa Sofa by Edward Barber and Jay Osgerby. Author AndrewPosted on August 11, 2016 Categories BlogLeave a comment on Custom exhibition stands made from warehouse pallets! 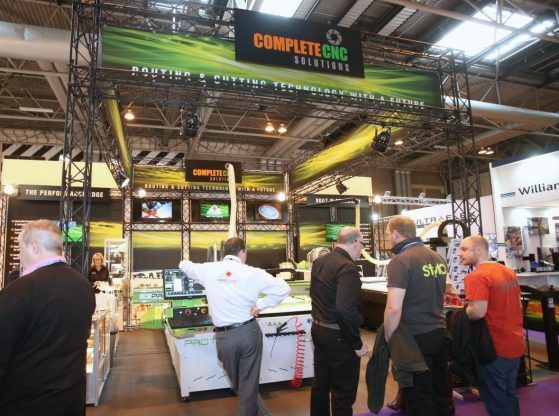 The largest number of exhibition stands in one place! 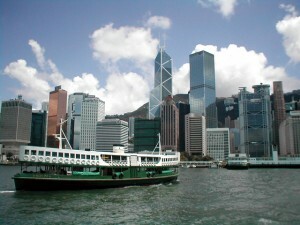 It’s official, Hong Kong’s MEGA SHOW is the World’s largest exhibition in terms of exhibition stands built! MEGA SHOW PART 1, which took place in October 2015, comprised of 4,540 exhibition stands and 3,387 suppliers from 31 countries and regions including Australia, Bangladesh, China, Czech Republic, France, Guatemala, Germany, Hong Kong, India, Indonesia, Ireland, Israel, Italy, Japan, Myanmar, Malaysia, Mexico, Nepal, Sri Lanka, the Netherlands, Pakistan, Poland, The Philippines, South Korea, Spain, Taiwan, Thailand, Turkey, UK, USA and Vietnam. The diverse merchandise mix on display at MEGA SHOW has been classified into product series, each in a clearly defined location. There are nine product series featuring talented design-led companies from Mainland China, Hong Kong, Taiwan and South Korea, exhibiting in the new showcase for design-driven products — original, creative, functional and with emphasis on innovation. If you are thinking of exhibiting at MEGA SHOW this year and need help planning an exhibition stand, please let us know. With operations all across EMEA, 200m2 is one of the leading exhibition stand suppliers in Asia. Author AndrewPosted on July 17, 2016 Categories BlogLeave a comment on The largest number of exhibition stands in one place!